The Internet connectivity in the Philippines is considered one of the slowest in the world. Yes, it has been featured reported by reliable sources like (put here the source). Public wifi is not even considered an option for connections due to its lame performance and you will need to wait for minutes just to open the site of google. Well, what has happened? Prior to the elections in the Philippines, several small, newly renovated airports and installed wifi connectivity routers in the Philippines has been giving reliable strength of connection like in Butuan Airport and Zamboanga Airport. Isn't that great? Of course, it is!!! Two thumbs up for that. 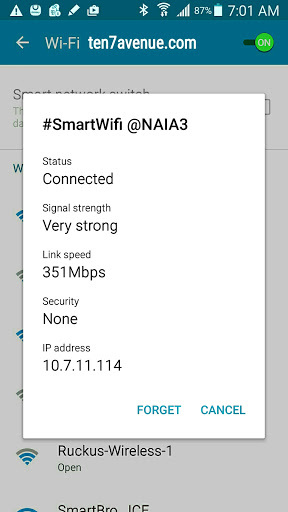 Yet, recently, I tried to check wifi connections in the biggest airport in the country - post elections in the Philippines - Ninoy Aquino International Airport, remarkably, has great improvement on connections. Writing this post in the airport is humbling. Change is happening. Oh wait, this is Kadayawan Festival sa Dabaw 2016, I may just insert, one of these telecommunications company giving public wifi is the sponsor. I do hope that reliable Internet connection will be experienced too by the festival goers.